First ride is free, then join The Buffalo Lodge Bike Tribe for a small yearly membership fee. Ride Category: Blue or Blue/Black (depends on riders) NO DROP Weekly rides (6-10 miles) around Garden of the Gods park, leaving from The Buffalo Lodge (please park in back North lot) Club members enjoy Happy Hour pricing all day on Colorado crafted beers at our Lodge “Watering Hole”. *Sign in begins at 5:30pm and leaves the Buffalo Lodge at 6:00pm in the LATE SPRING & SUMMER months. EARLY SPRING/FALL months will have a 10:00am start time. First ride is free, then join The Buffalo Lodge Bike Tribe for a small yearly membership fee. 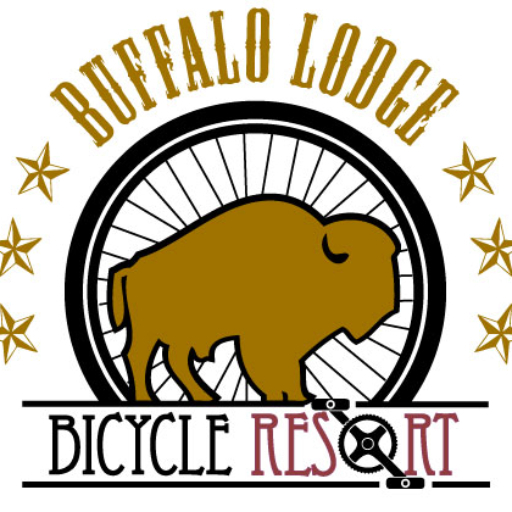 Ride Category: Blue or Blue/Black (depends on riders) NO DROP rides (10-15 miles) typically along the Midland Trail, leaving from The Buffalo Lodge (please park in back North lot). Club Members enjoy Happy Hour pricing all day on Colorado crafted beers at our Lodge “Watering Hole”. *Sign in begins at 8:00am and leaves the Buffalo Lodge at 8:30am in the LATE SPRING & SUMMER months. EARLY SPRING/FALL months will have a 10:00am start time. These are local rides we’ve done and loved! If this is your first time, contact the organizers to find out if there are any changes from their normal ride schedules. These rides are free unless otherwise noted. Colorado Springs Cycling Club – Numerous year round rides throughout the week. First time riding is free. After that please join to participate. Front Rangers – Junior riders between 12 – 18 years old offering different events throughout the month. Mountain and road bikes. Manitou Spokes – Tuesdays 5pm in spring, summer & fall and every third Saturday. North Colorado Springs Cyclists – Intermediate to advanced riders. Membership required after first month. Pedals and Pints – Check out their Facebook page for upcoming rides. Southern Colorado Velo – Rides for all levels. Weekly Hump Day Group ride at 6pm among some of their offerings. Triple S Brewing Legacy Loop Thirsty Thursday Cruise – Come Thursdays at 6pm. UpaDowna Pedal Party – Summer Wednesdays at 6pm for all ages and abilities. Bikes provided if needed. No drop 5 – 7 miles. Women’s Mountain Biking Association of Colorado Springs – Check their website for more info and rides schedule.